Our company designs android applications. One of our products , the remote control gsm ( N2015) has the ability to work with android app. 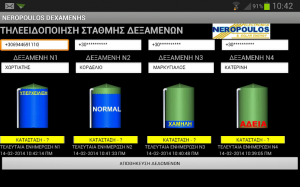 The benefit of using the app is that te user sent the sms via button and receives data by image.